This Burgol shoe cleaner is suitable for all types of shoes and boots, for wet cleaning inside and out. The cleaner not only has a disinfecting and pH-regulating effect, but also reduces unwanted odors. 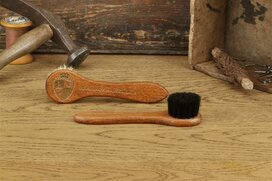 With it you clean your shoes according to the motto: as gentle as possible, as strong as necessary. This high-quality product of the traditional Swiss company can be used on all types of leather, including rough leather, making it pleasantly soft and supple. Also for the application on the inner sole this agent is ideal. 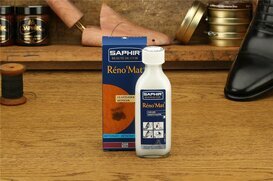 • Optimal results for smooth leather and suede leather. • Disinfecting, pH regulating and odor reducing. • The leather stays soft and supple. • Also suitable for the insole. 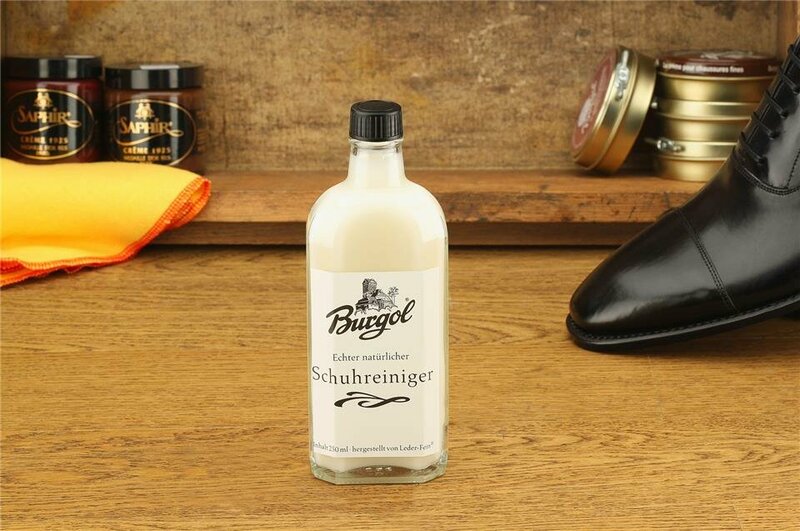 Dilute the Burgol shoe cleaner in the ratio 1: 1 with water, moisten a cloth, sponge or similar. and clean your shoe with it. Rub the product off with a brush, but do not rinse or wipe. It is important to clean the shaft over a large area so that no unwanted edges appear. Afterwards, the treated shoe should be provided with a shoe tensioner and allowed to dry. Add this high-quality shoe cleaner to your cart in just one click and discover the numerous other care products that we have in store for you. Causes serious eye damage. Keep out of the reach of children. If in contact with eyes: Rinse cautiously with water for several minutes. Remove any existing contact lenses if possible. Continue rinsing. Call a doctor immediately.